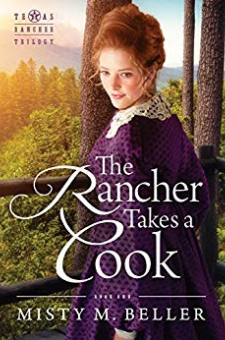 A Christian Historical Romance NovelWhen their South Carolina home burns to the ground, Anna Stewart’s only choice is to move with her younger brother to the wilds of a Texas ranch. Their prospects are beginning to look better, until the rancher’s son, Jacob O’Brien, shows up with his alarmingly blue eyes to put a kink in Anna’s well-controlled plans. When danger escalates in the form of a band of cattle thieves with deadly intent, can Anna learn to release control to God’s capable hands…and those of the blue-eyed cowboy who’s stolen her heart?